Lemon Lumberjack can guide kids through multiple stages of language acquisitions. 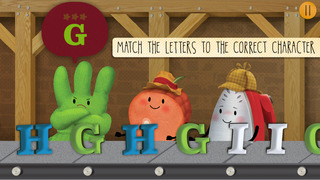 In the app, players can collect 26 character storybook pages to hear silly stories about the Letter Mill friends, as well as explore 54 levels with a broad range of play modes. Children will meet charming letter-loving characters, discover hidden surprises, dance along to original music, and be rewarded by wild animations that encourage and cheer their progress. Join Lloyd, the Lemon Lumberjack, and his letter-loving friends in this spectacular spelling adventure! From American Greetings Entertainment—the creators of Care Bears—and Night & Day Studios comes this loony learning game, Lemon Lumberjack’s Letter Mill. Inside the letter mill, match letters and objects—and eventually build words!—by grabbing them from the conveyor belt and giving them to their friends. 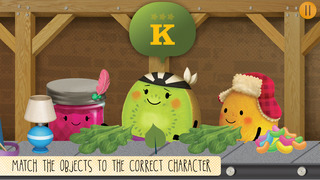 Wacky fruits and veggies will surprise and delight young learners with their love of language. 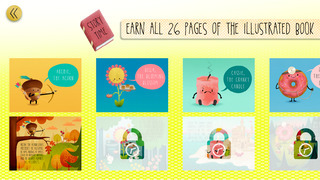 Complete a level to move on to the next, and earn daily rewards. 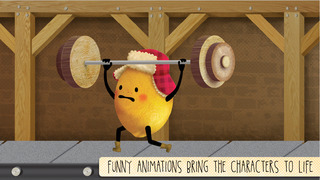 With awesome animations, crazy characters, and wild wordplay, Lemon Lumberjack’s Letter Mill is surprisingly sweet! Lemon Lumberjack’s Letter Mill is designed to guide your child through multiple stages of language acquisition. Pre-readers learn letter recognition, along with the sounds letters make, through age-appropriate matching games. In higher levels, older children learn to connect letters with the sounds they make and build fundamental spelling and reading skills. 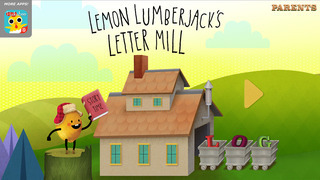 Lemon Lumberjack’s Letter Mill is an exciting way to develop reading proficiency. After your in-app purchase, you will have access to all the games in the app. But PLEASE NOTE you still have to finish each game to unlock the next one. Fair is fair, even if you're a lemon! Night & Day Studios, the creators of Peekaboo Barn, built this app. We love bringing adorable characters to life, and we made Lemon Lumberjack’s Letter Mill with the same love that we have for Peekaboo Barn, Farm Day, Yummiloo Rainbow Power, and BabyLit Jungle Book Hide & Seek.